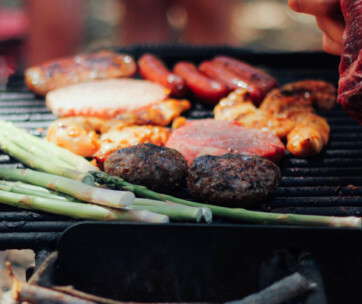 While almost everyone loves grilled foods, only a handful will mind working and grilling closer to the heat. Grill-X is about to change all that. 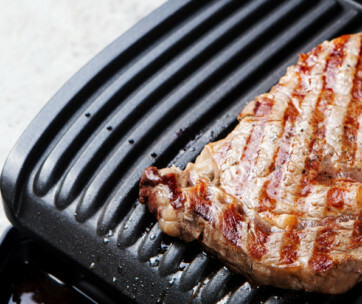 This 6-in-1 grilling tool comes with all the essential grilling tools you need to stay right in front of the grill station without having to turn around just to reach for another tool. Plus, everything about the Grill-X is designed for great length, allowing you to do your grilling chores without having to go near the heat. 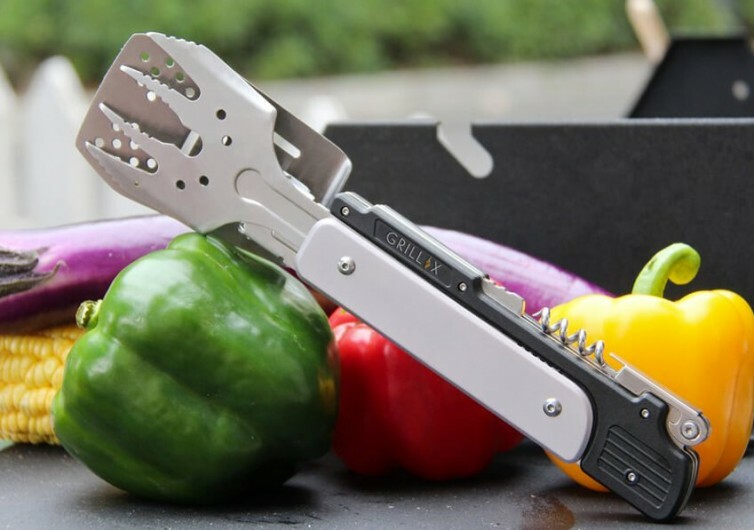 With a barbecue tong providing the backbone for the design of the Grill-X, this contraption already comes with 5 other functions to get your grill party rolling. 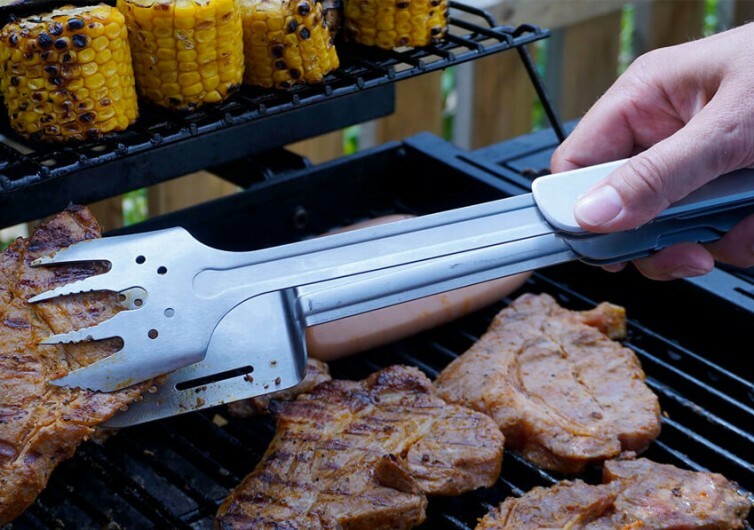 The beauty of the Grill-X barbecue tongs is that it integrates a conventional spatula on one tong while the other has a grill fork. 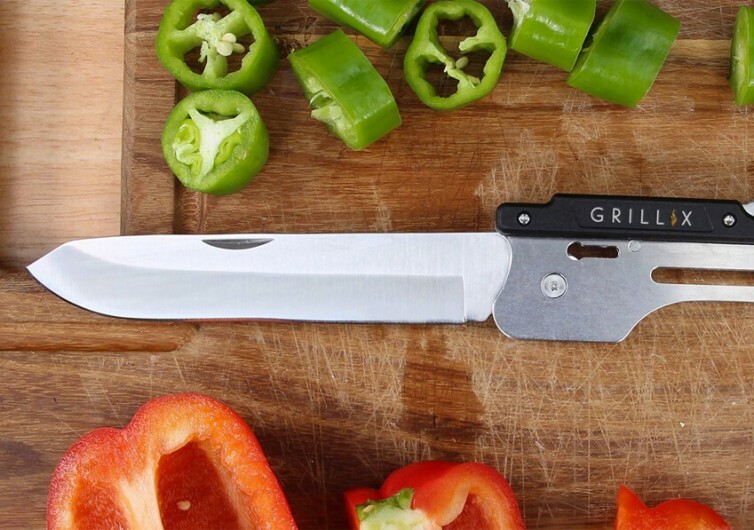 This gives you the ability to make more secure flips of your slabs of meat as you can easily pierce through the flesh to never let it slide off of the spatula. 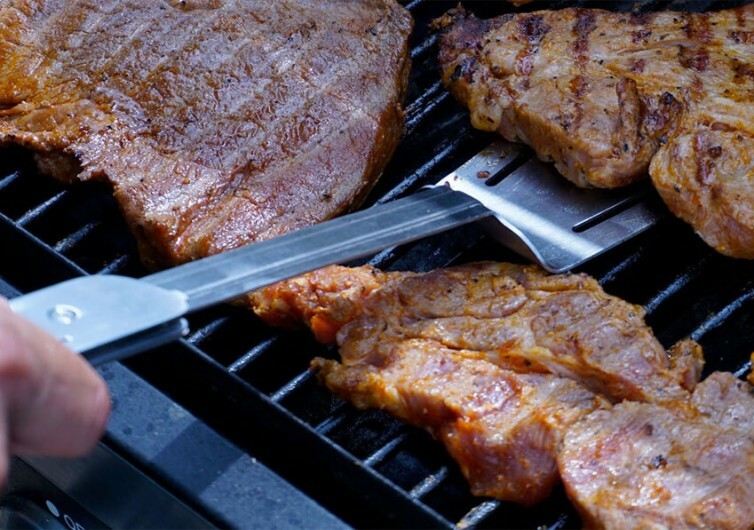 The extra-long handle of the tongs, spatula, and fork makes it a lot safer to manage the food cooking on the grill. The system already comes with a knife that integrates two fundamental tools in addition to its 5.12-inch blade. 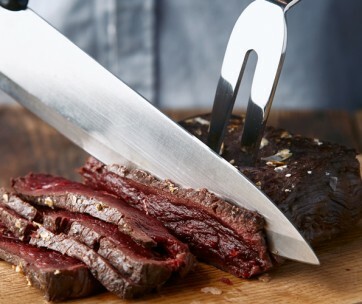 It comes with a wine corkscrew and a bottle opener to help make sure you’ve got the drinks or the booze to go with the flavorful meats. After all, enjoying delectable grilled treats is made even more meaningful with a bottle of beer or a glass of sparkling wine on hand. 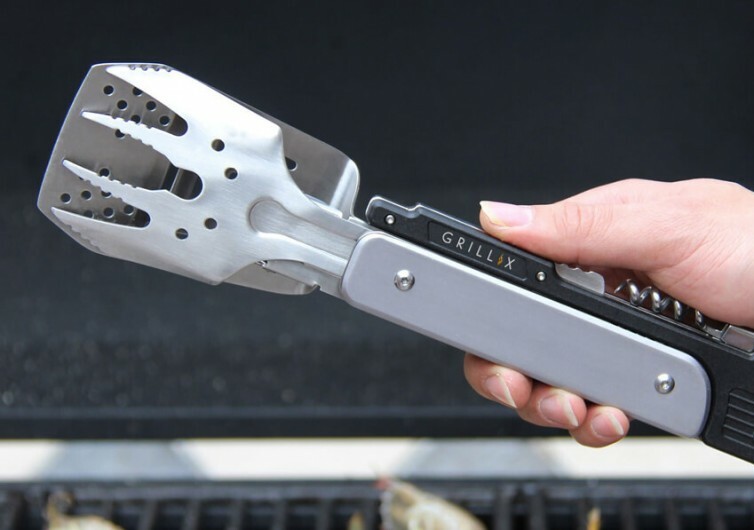 The Grill-X BBQ tool doesn’t have any fancy decorations on it. But you can always rely on its functionality to give you a grilling experience that is characterized by minimal interruptions. The elements are painstakingly designed and constructed and feel really solid on the hand.